The start of a good day begins with scallops. Well, it did for me on Saturday. My awesome friend Mandy, from Emm in London, was offered a complimentary lunch for her and some of her expat friends. I graciously accepted the invite and am so thankful I did. The food at Ping Pong was great and the company even better. It was so nice to finally meet fellow expats Melissa and Jen. It’s great to chat online but there’s something special about conversating in real life. But on to the food! We each ordered an iced tea. Mine was a strawberry vanilla one with basil seeds. The seeds were chewy but I was so okay with that. Normally I wouldn’t be. This is my second time having dim sum so I vaguely knew what to expect. Luckily I received no surprises. We all had the the Ping Pong Collection. All the little steamed and fried parcels were tasty and I ate them all. Thanks to Ping Pong for the great service and fab food. 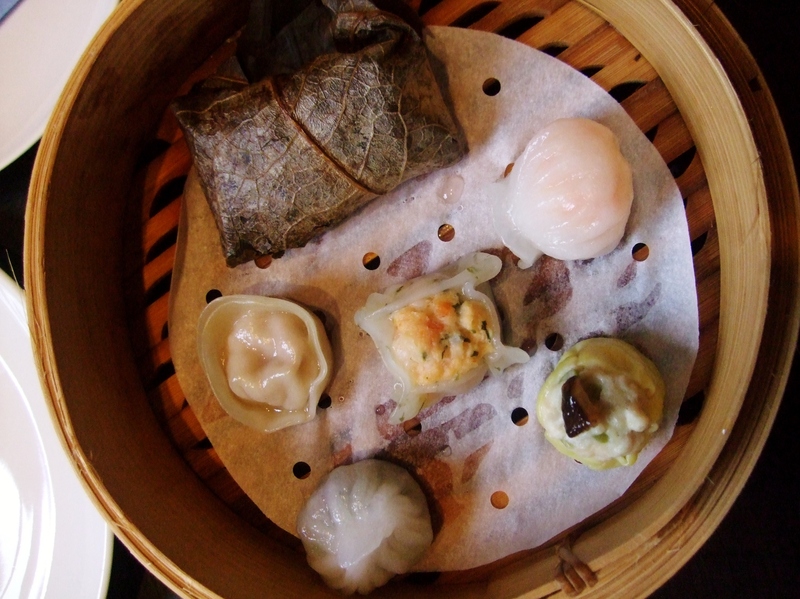 Looking forward to enjoying some more dim sum, and strawberry vanilla iced tea, there in the future. Looking forward to next’s month expat meet up. Rumor has it it’ll be bowling! 30 Jan	This entry was published on 30/01/2012 at 9:38 PM and is filed under London. Bookmark the permalink. Follow any comments here with the RSS feed for this post. The drink was very nice. I would go back just to have it. Do you mind if I slide past all the amazing food to comment on and instead compliment you on your outfit? Or what little I can see of it, anyway. I love everything. Color. Textures. 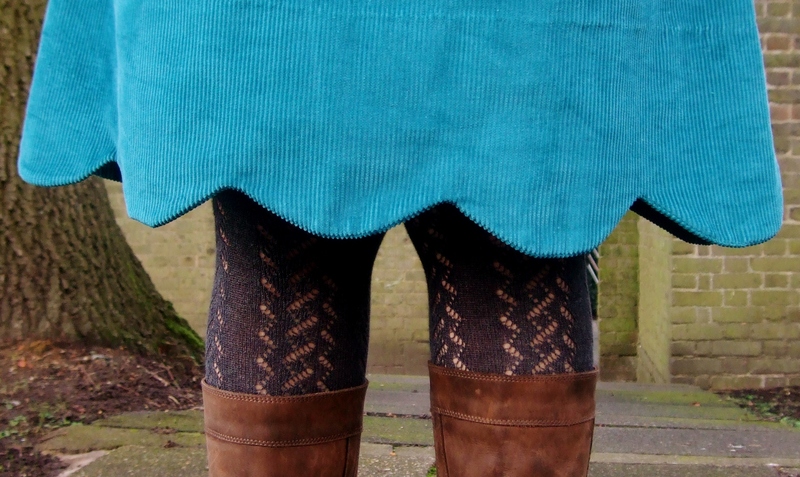 Tights! Thank you! I am really proud of that outfit. I have to admit, dressmaking has made me think more about accessorizing, something I am usually super lazy about. Yay! Wow – you make everything look so wonderful! Thank you. 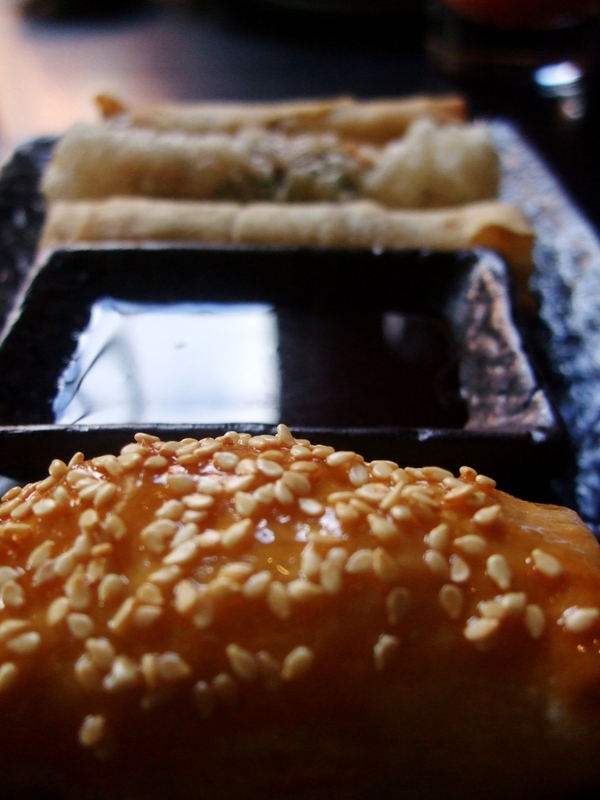 Food is one of my favorite things to photograph. 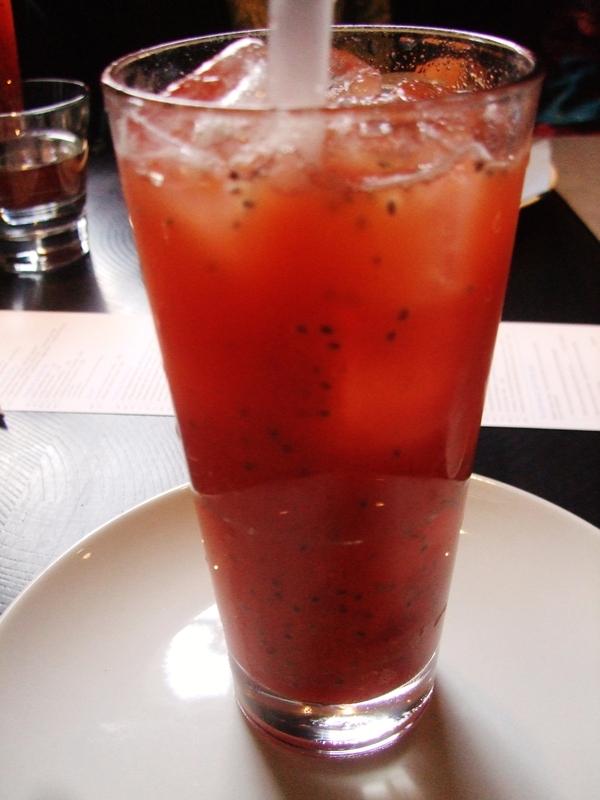 I also liked the chewy basil seeds in the drinks when normally I wouldn’t have! Your photos are really lovely and I agree with your friend above, your skirt is stunning. We definitely need to meet up soon 🙂 Lunch one day? Yes! I’m free all week. Just send me an email telling me when you’re available. Coolbeans! How about Thursday lunch? Sure! What time is good for you?